The Traverse City Film Festival is a whirlwind of a week. Filmmakers and movie lovers gather from around the world in Traverse City for six days of incredible parties, intimate discussions and debates about cinema, and, of course, outstanding films. Thousands of people make the Northern Michigan event possible including staff, interns and volunteers. We checked in with our new neighbors at the pop-up Print Traffic Office located downtown next to MyNorth Media on Park Street to see what goes on behind the scenes. So what exactly happens at the Print Traffic Office? Tons. The workers here are in charge of requesting films from filmmakers once Festival Founder Michael Moore has picked the lineup. 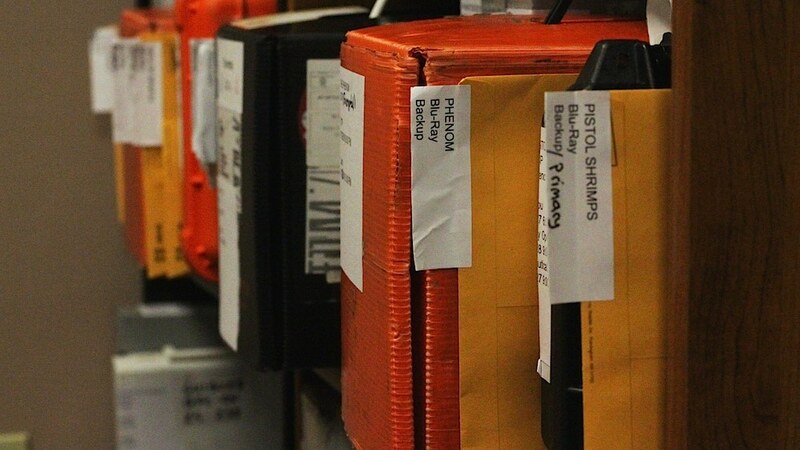 The physical copies (pictured above) are organized alphabetically and labeled with venue and showtimes. Remember, there are over 100 films at this year’s festival. Let’s just say the shelves are full. At the end, the films have to be shipped back to their makers who live across the world in countries including Cambodia, Iran and Norway just to name a few. The Print Traffic interns are pros at dealing with FedEx and Customs. They’re also pretty good with spreadsheets, which are everywhere. Oh, and on top of all that, these guys and gals also help build the TCFF website, distribute promotional posters and travel Traverse City delivering backup films for projectors in case there is another tempest like the devasting storm of the century during last year’s festival on August 2. At Print Traffic, it’s all just another day at the office. Don’t have a copy of this year’s Filmgoer yet? Flip through the free digital pages here for insider tips to the festival!